Kendall Jenner is ready for some fun in the sun. 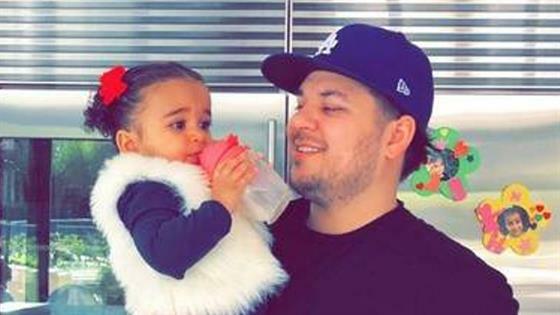 While celebrating big brother Rob Kardashian's 32nd birthday, the model and her sister managed to fit some time in for a cheeky selfie. In a risqué picture shared to Instagram on Monday, Kendall and big sis Kourtney Kardashian bared their backside for a photo in their bikinis. The 23-year-old captioned the photo: "sunday's for the girls." For the lazy day by the pool, Kendall sported a leopard print top and bottoms that showed off her pert derriere. The final touch was a matching bowl hat perched atop her black locks. As for Kourtney, the mother-of-three went for a bright look in a white baggy shirt, neon yellow bottoms and a black baseball cap. She flaunted her impressively taut tummy on her Instagram Story too. On Sunday, the tight-knit Kar-Jenner clan got together to celebrate Rob's birthday, which happened to coincide with St. Patrick's Day. The whole family gathered for the big occasion at the family's house where green balloons and plenty of family photos were scattered around for everyone to enjoy. And when the fam wasn't reminiscing about the past or taking bikini pics, they were sharing the cutest tributes for their brother. "Happy birthday to the best brother in the world!!!" his sister Khloe Kardashian posted on Instagram. "Firstly, I want you to know how proud I am to have you as my brother. You are my best friend! The funniest guy I know! Truly, I've never laughed harder than when I'm with you. I will support you through whatever life throws your way! Continue to find your best self. Continue to keep your head high as you find your way. Grow strong, powerful and independent. You got this Bob!"